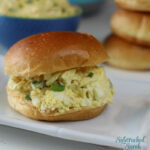 Are you looking for a delicious Egg Salad recipe for Egg Salad Sandwiches? Look no further! This classic recipe is back and it’s so delicious that my kids beg me to make it! Are you looking for some easy lunch or snack recipes? You’re in the right place! Some of our favorites include Instant Pot Egg Roll in a Bowl and Instant Pot Sloppy Joes. Egg Salad Sandwiches are pretty much a classic. I can remember eating these all the time as a kid – they were a summer staple! Somehow, they sort of faded from popularity. They’re back though, and for a good reason! These easy, delicious sandwiches are filled with a creamy, yummy egg salad that you’re going to love. 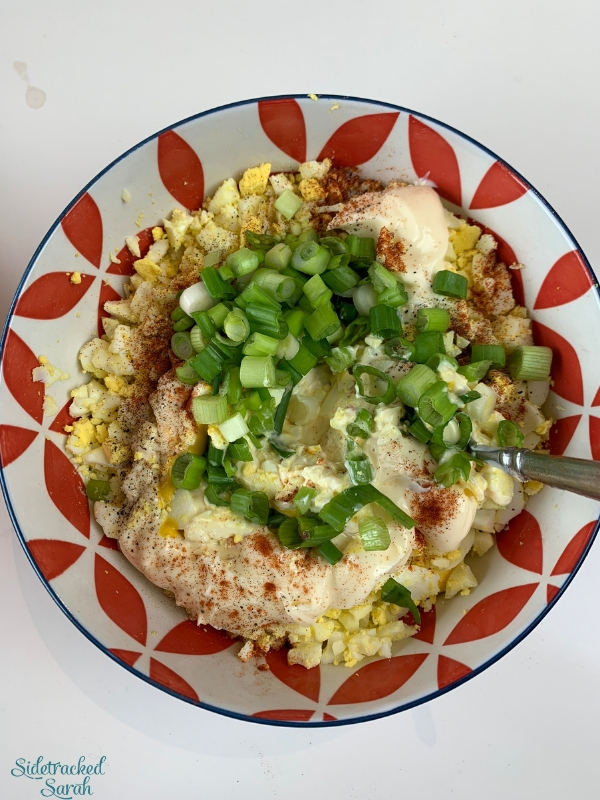 And with the advent of the Instant Pot, boiling the eggs for your Egg Salad is easier than ever! 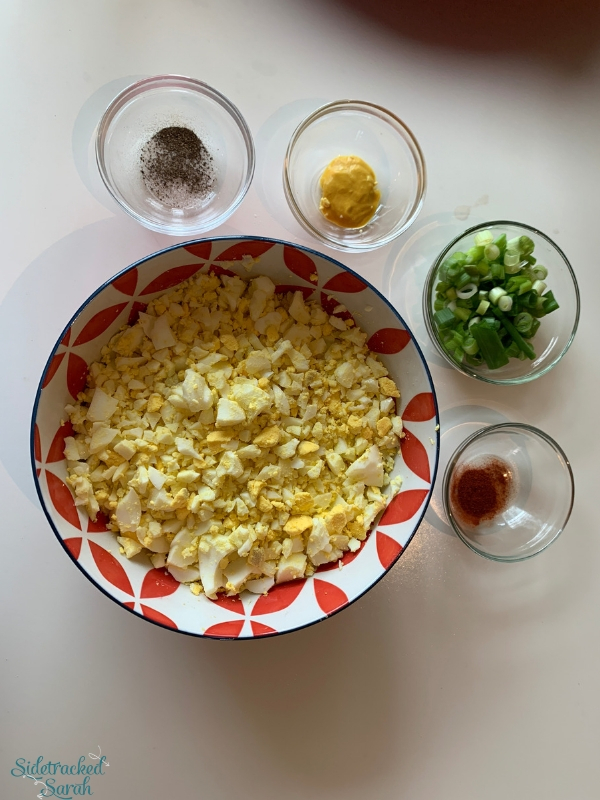 Egg Salad is a mixture of chopped hard-boiled eggs, mayonnaise, and a variety of seasonings and “mix-ins.” It’s not known exactly when Egg Salad was invented, but it’s likely that this wonderful mixture has been around since Colonial times! This just goes to show that classic recipes are classics for a reason – they’re delicious and easy enough to stand the test of time. 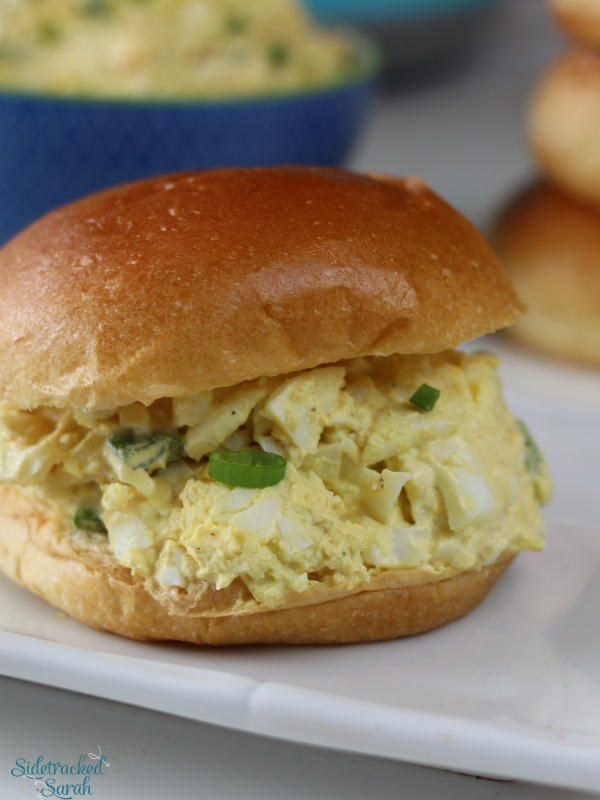 After you try my Egg Salad Sandwiches, I think you’ll agree that this recipe is a keeper! HOW SHOULD I SERVE EGG SALAD? HOW LONG WILL EGG SALAD KEEP IN THE REFRIGERATOR? If you store your Egg Salad in an airtight container, it will keep well in the refrigerator for 3 to 5 days. This means you can make a batch on the weekend and have delicious Egg Salad Sandwiches whenever you would like during the week! WANT MORE EASY LUNCH AND SNACK RECIPES? Bring to a boil and remove from heat. Cover and let stand for 10 minutes in hot water. Remove from water, cool and peel. Place all peeled eggs into a bowl or on a cutting board and chop. Mix in mayonnaise, mustard, green onion, salt, pepper and paprika. Stir well and garnish with a little more paprika. Serve on buns or bread. This past week, we went to a birthday party at a friend’s house. It lasted a little long (and late, too) and my 5 year old was literally falling asleep on the table. 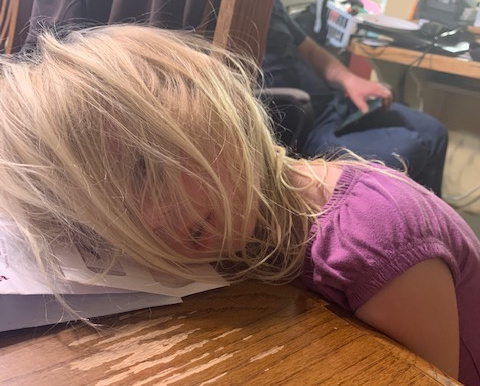 I had to snap this picture of her passing out while begging me to go home. They don’t stay little long!